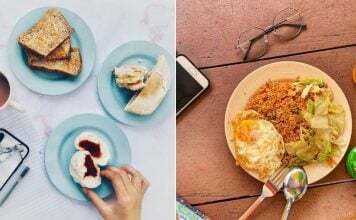 Many Singaporeans eat out often at hawker centres, but unfortunately, unwanted things get into our food from time to time. 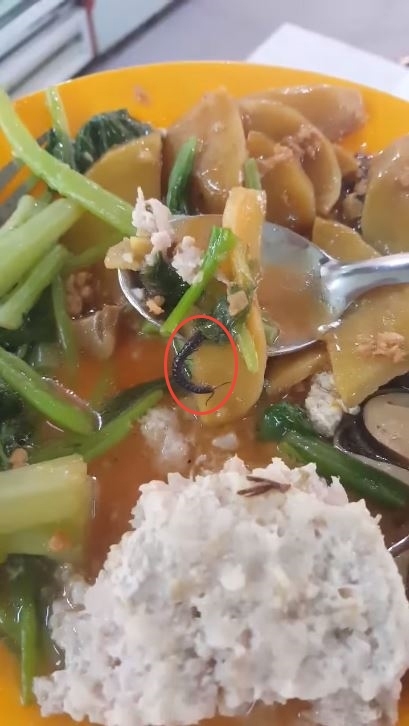 On Tuesday (16 Apr), a Facebook user claimed that he found a centipede in his lunch from a hawker stall at Chai Chee Foodhub. Yet when he confronted the stall owner, the man allegedly offered him $5 to appease him. 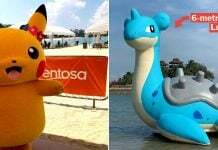 The whole interaction was captured on video and shared on All Singapore Stuff’s Facebook page. 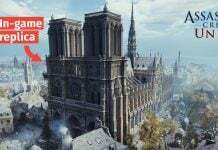 You can watch the video in full here, we also break it down for you after the jump. 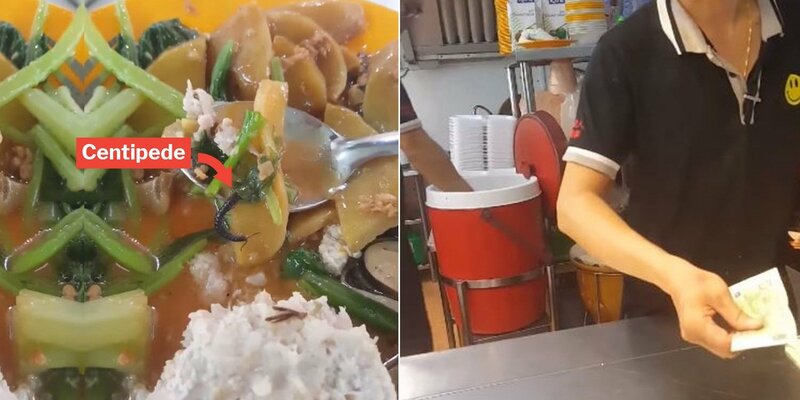 At the start of the video, the man shows the plate of food he ordered from the hawker stall and zooms in to the unexpected find — a tiny centipede on what seemed like a slice of potato. Feeling disgusted and appalled, he then made his way to the food stall to confront the staff. 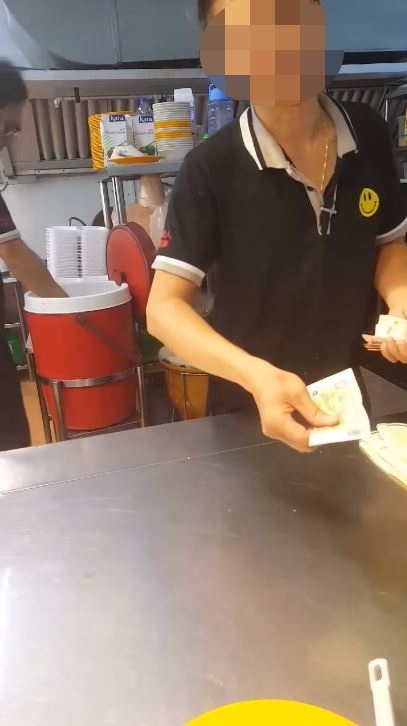 The annoyed customer called over one of the workers and snapped at him when he tried to take the plate, presumably to have a closer look at what was wrong with the food. The worker then walked off. Another man at the cashier counter stepped in when the customer threatened to call the NEA. The stall staff apologised and smilingly offered him $5 in an attempt to appease him. 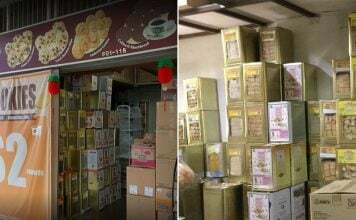 However, the customer had none of it and subsequently reported the case to the Singapore Food Agency. 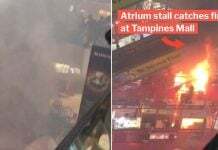 While finding a centipede in their cai png may anger some, many netizens have instead taken the side of the hawker staff. This netizen was irritated by the man’s tone and felt that he could have been more gracious to the stall owners. Another netizen joked that the centipede may be as tasty as the other insect delicacies he enjoyed in Phuket. 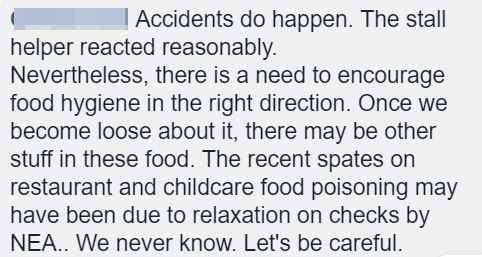 Finally, this user said that the stall helper had acted reasonably, but also appealed for food hygiene standards to be raised and that all of us should be extra cautious when we eat. 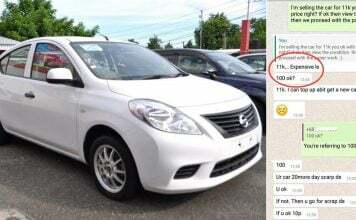 Even though it may be understandable for the customer to be shocked at the unexpected find in his food, netizens in general thought that he could have dealt with it differently. Particularly, many suggested that the man could have been a little more courteous in his interactions with the hawkers. Do you think the incident warranted the man’s actions? Sound it out in the comments below!